Don’t want others to see your WhatsApp photos that automatically gets saved in the photo gallery of your phone? Then you are at the right place. We will guide you step-by-step to easily hide WhatsApp pictures and videos from the gallery. 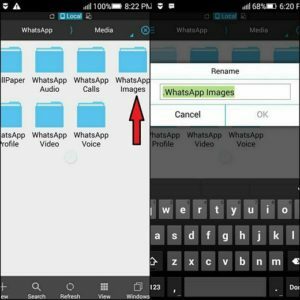 That’s why today we will show you a valuable trick and that name is How To Hide Whatsapp Videos And Images From Gallery. Whatsapp messenger is still popular and addicting app ever. There is many reason behind this like their latest features as Chatting, File sharing, calling, privacy options etc. A WhatsApp user only knows the number of Images and videos he/she receives on groups and via personal messages. Whatsapp messenger also reduce our cost of phone calling to our relatives and friends. With the help of Whatsapp we can also share our images with others and receive these images. But these images are shown with our regular images in gallery. All these images can be seen by opening the respective chat screen, but they are also visible in the Gallery. Are you tired of your nosy friends, who don’t respect your privacy? Are you want lock WhatsApp with AppLock, its photos/videos still appear inside the gallery. Do you want to secure your personal data with more safety. If yes then read our post carefully. 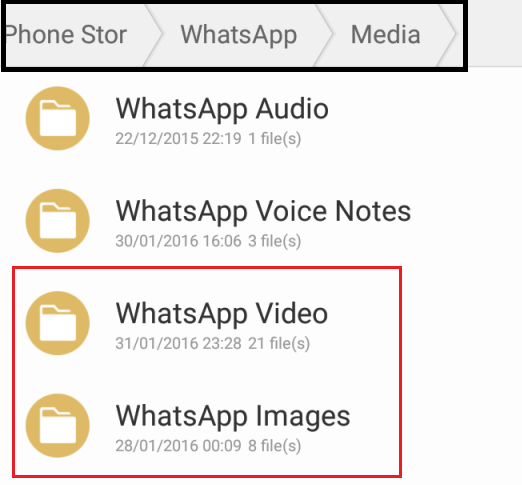 First, you will need a file manager app to access WhatsApp directory in your SD card. If you don’t have one, download ES File Explorer. Find your WhatsApp media folder using the file manager. You can find it in by simply go to Home then SD card after that Whatsapp and then Media. Open your WhatsApp Folder and then click Media. Now rename the folder Whatsapp images to .Whatsapp images if you want to hide WhatsApp images from the gallery. By the same process you need to rename your Whatsapp Videos to .Whatsapp Videos if you want to hide WhatsApp video files from your gallery. After that go to Settings . And then scroll down and select Apps. Now go to Apps Manager. There you will find the gallery in the All section, click on it. Now you will find there clear cache and you need to click on it. That’s it. Now you have done you task. Immediately open your gallery and you will notice that the WhatsApp content will not be displayed there. Hope you like it. How to Insert or link to a video on YouTube in PowerPoint ?